All the children and staff at St. Paul's would like to wish you a very warm welcome to our exciting website, where you will find lots of information about us. 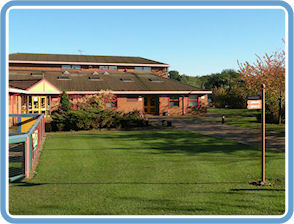 We hope our web gives you an entertaining and informative insight into our school. Please look round our site by clicking the links on the left or at the bottom of the page. Our website is easy to navigate, so you won't get lost! We hope you enjoy your visit to our web. If you do, why not leave a comment on our Guestbook. We look forward to seeing you again soon. 14 Apr 19: School Newsletter and Summer term diary dates. 14 Apr 19: Our latest Online Safety Newsletter. 14 Apr 19: New school dinner menu from April. 14 Apr 19: Some new and updated school Policy documents. 14 Apr 19: An additional supplier of our school Uniform. 30 Mar 19: School Newsletter and diary dates. 30 Mar 19: Our latest Online Safety Newsletter. 23 Mar 19: Everyone enjoys running on our Daily Mile track. 23 Mar 19: We celebrated the winners from our Science Week activities. 23 Mar 19: We raised money for Comic Relief on Red Nose Day. 23 Mar 19: Our Football Team won a recent match and proudly wore our new kit. 23 Mar 19: We dressed as our favourite characters for World Book Day. 16 Mar 19: School Newsletter. 09 Mar 19: School Newsletter and diary dates. 02 Mar 19: School Newsletter and diary dates.